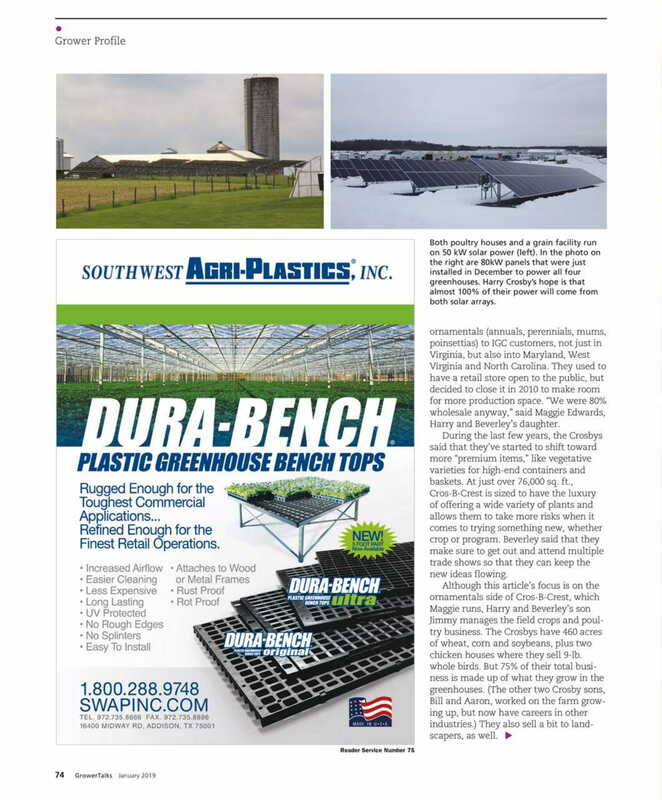 We are proud and excited to share that Cros-B-Crest Farm was featured in the January issue of GrowerTalks Magazine! In May of 2018, Jennifer Zurko - Managing Editor of GrowerTalks Magazine, was visiting Virginia growers and asked to stop by Cros-B-Crest Farm to learn about our operation! We were happy to have her visit and enjoyed showing her around the farm and sharing with her the history of Cros-B-Crest Farm. As we walked the greenhouse, Harry shared the history of Cros-B-Crest Farm, where our name originiated, how the farm was operated before growing annuals and where we are headed as we look toward the future. 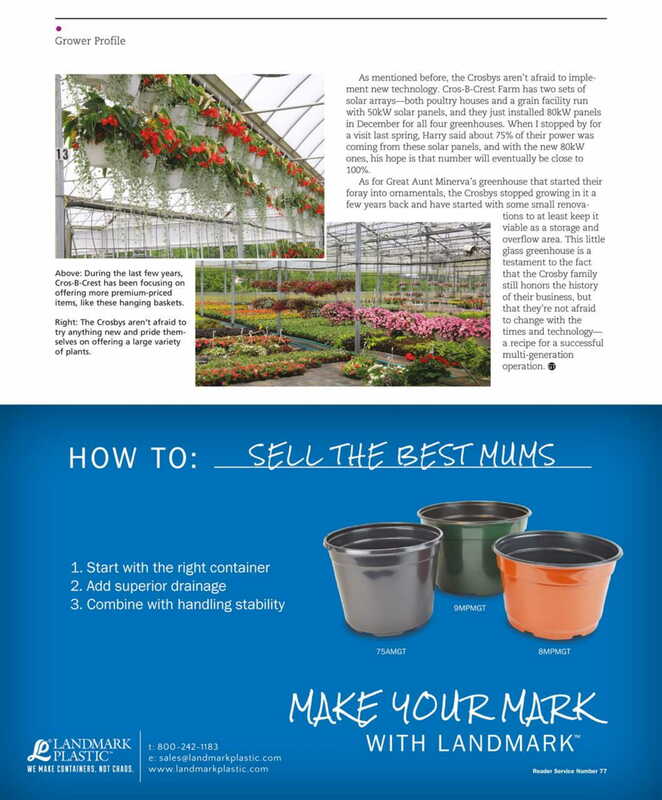 Jennifer's article was published in the January 2019 issue of GrowerTalks Magazine and we were thrilled to see our story in print and thank her for writing such a nice piece. 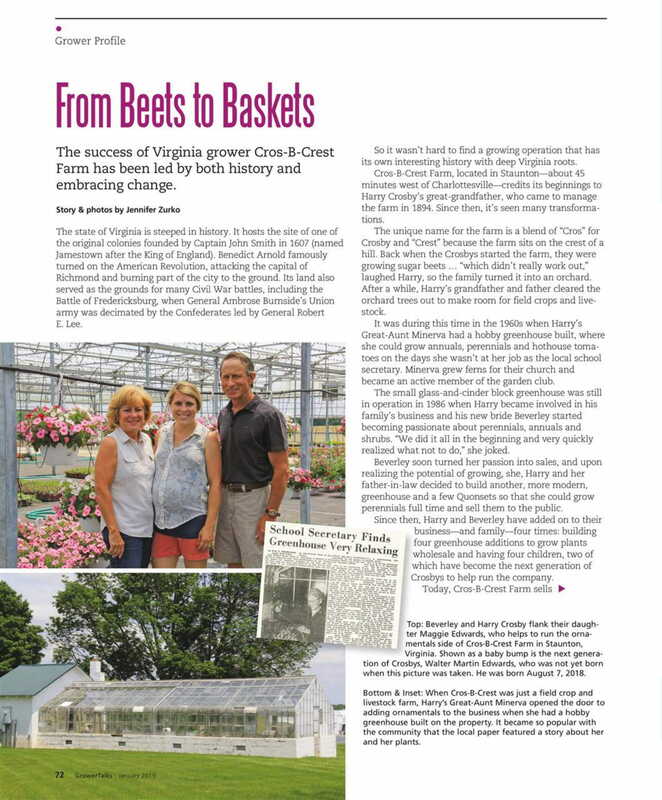 Click the link below to read the article and learn all about Cros-B-Crest Farm! Enjoy!